We are having an snow/ice/rain/bad road day! So I am crossing off some of my to-do list items. First up, March calendar cards. These cuties are up on my FB page if you want to pick them up. 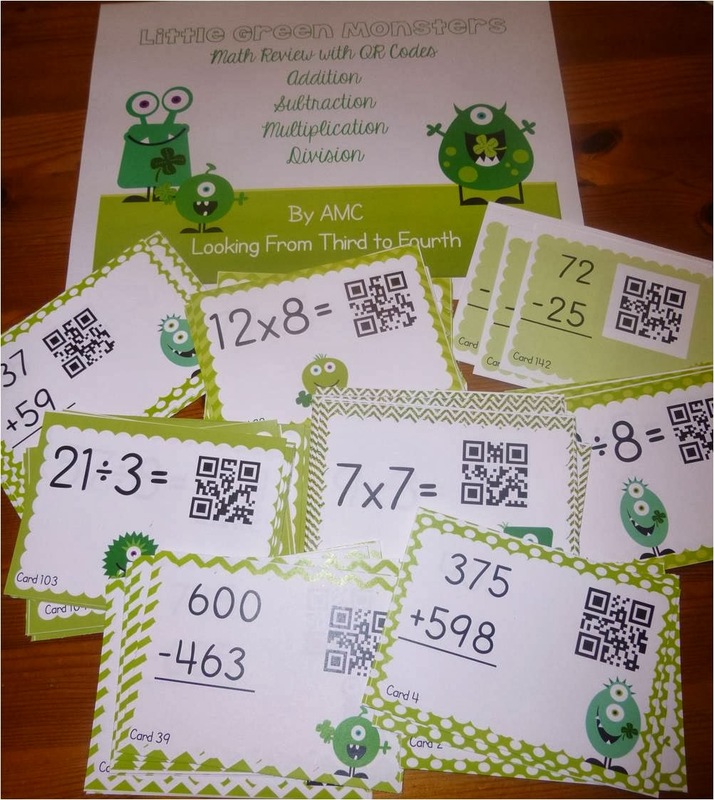 I also have a new math product in my TPT store if you need something for March to help review math operations with your kiddos. I will be back a later for Flippin' Friday, must watch a little Olympic hockey!!! Aw, all of this is so cute!!! Look at you using your time wisely!!! Love it and love those monsters! Oh, and I love QR Codes so this is a win-win!! !